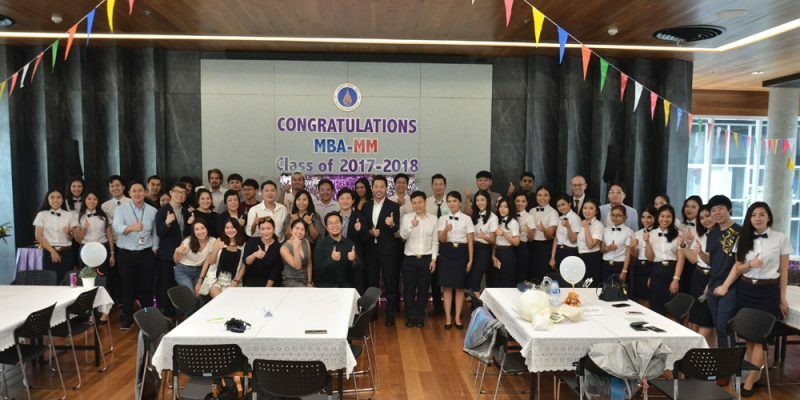 Congratulations to MBA & MM Class of 2018! 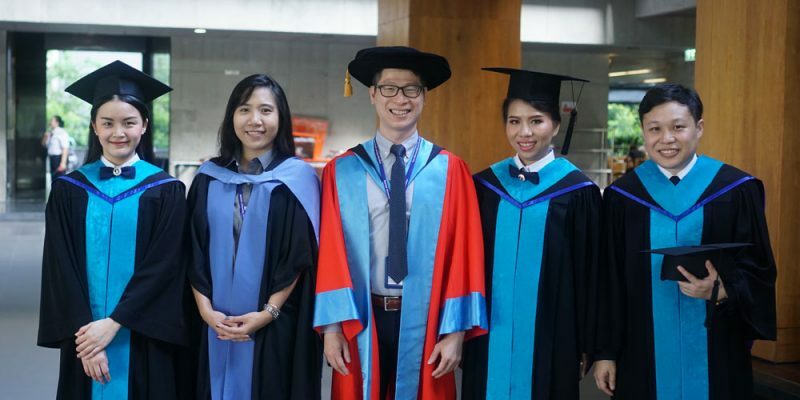 MUIC > Graduate Students Experience > Congratulations to MBA & MM Class of 2018! Graduates have put in a lot of hard work throughout their academic journey. And now they are ready to claim their rewards. 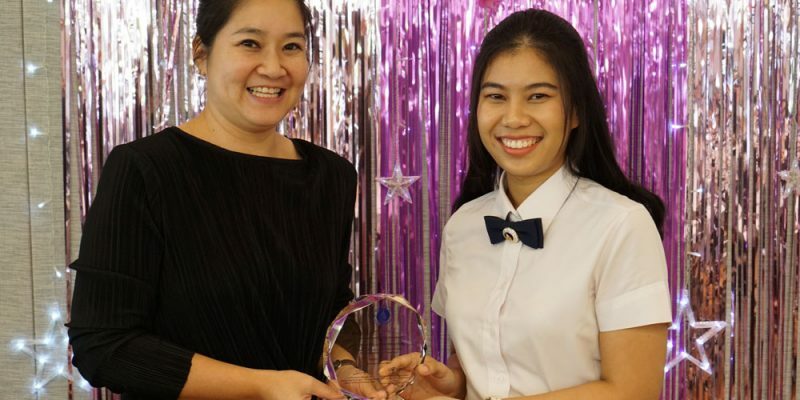 Graduation marks the culmination of study with Mahidol University International College (MUIC) and the starting point of the next phase of their career. 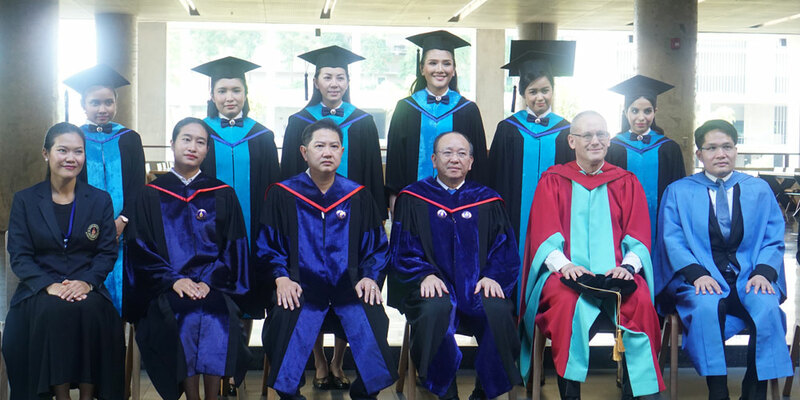 For this special occasion, graduates of the Master of Business Administration (MBA) in Business Modeling and Development and the Master of Management in International Hospitality Management (MM) programs celebrated their achievement together with their beloved lecturers and fellow students in a memorable graduation party held at Aditayathorn Building, Salaya campus, on September 16, 2018. MUIC International Graduate Studies (iGS) was much honored to have our Associate Dean for Academic Affairs and Research, Asst. Prof. Dr. Sarayuth Nathapan, deliver the congratulatory speech. In addition, we were also honored to have Asst. Prof. Dr. Ornlatcha Sivarak, Acting Assistant to the President for Administration, and Dr. Roberto Gozzoli, Chair of the Tourism and Hospitality Management Division, present the outstanding awards for the top graduates: Miss Nantikarn Seedavong (GPA 3.96) from MBA in Business Modeling and Development; Miss Vilairat Pichetweerachai (GPA 3.70) and Miss Raviwan Sachdev (GPA 3.70) from MM in International Hospitality Management. These top graduates also kindly gave a motivational speech and provided useful tips to all the students who are walking through the same journey. The party was concluded with closing remarks by Dr. Benjalux Sakunasingha, Chair of the Business Administration Division, and attendees posing for memorable group photos and capturing this special moment together with a final gift from MUIC to take home. We are proud of our graduates and hope to see them standing out and performing significant roles in their future endeavors.